The Leftovers, the show, was co-created by one of the creators of LOST, so as you might expect there is the potential for lots of hidden clues. There are layers upon layers of plot lines revolving around the central characters. So it warrants many repeat viewing. 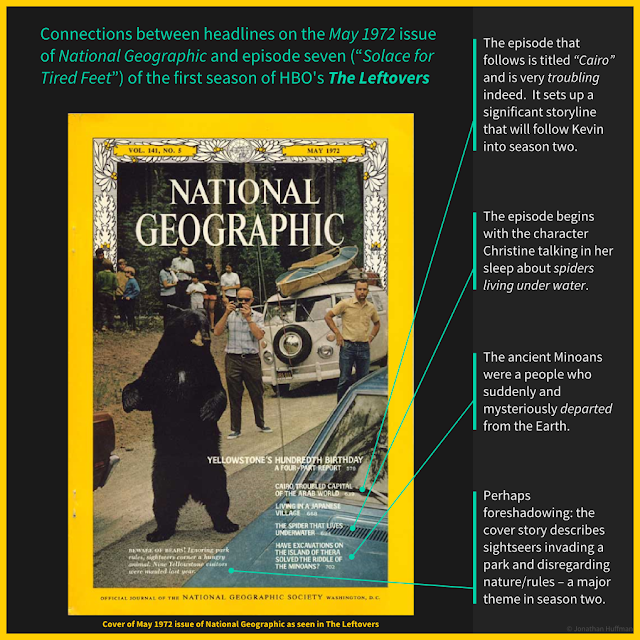 While re-watching episode seven, I happened to notice a very interesting coincidence: the issue of the National Geographic magazine that keeps appearing in the episode contains headlines that almost all pertain to events in the show.